පසුගිය දිනක නරි බෑණා නාටකය නැවතත් නැරඹීමට අවස්ථාවක් ලැබිනි. නරි බෑණාත් සිංහබාහුත් මනමේත් යන නාටක තුනම මා මුලින්ම නැරඹුවේ කුඩා කල එකම වකවානුවකය. එකලද වඩාත් මගේ සිත්ගත්තේ නරි බෑණා නාටකයය. එහි එන ගීත වල කන්කළු බව ඊට හේතුවන්නට ඇති. මේ නාට්‍ය තුන අතරින් ඇඟට දැනෙන දේශීය ගතියක් වඩාත්ම ඇත්තේ නරි බෑණා තුල බව පසුව මට අවබෝධවිනි. එහි ඒ ගුණ තවමත් ඇත. කෙසේ වෙතත් නරි බෑණා නාටකයේ කියැවෙන්නේ තරමට වඩා ඉදිමෙන්නට ගොස් පීචං වෙන නරියෙකු ගැනය. මට ඒ නරියා සිහිගන්වන්නේ මෙරට වර්තමාන මධ්‍යම පංතියය. දශකයක පමණ කාලයක සිට මෙරට මධ්‍යම පංතිය ලෙස හඳුනාගන්නා සමාජ කොටසක් සීඝ්‍ර ලෙස ව්‍යාප්තවෙමින් පවතී. කොටි ත්‍රස්තවාදය පරාජය කිරීමෙන් පසු එහි වරධන වේගය තවත් වැඩිවී ඇතැයි සිතේ. මේ පංතිය සාපේක්‍ෂ වශයෙන් ආර්ථික ශක්තියෙන් ධනාත්මක වර්ධනයක් අත් කරගෙන ඇත. නමුත් ඒ සමඟම ඔවුන්ගේ අපේක්‍ෂාවන් වලට ඊට වඩා වර්ධනයක් ලැබී ඇත. පොදුවේ ගත්විට මේ මධ්‍යම පංතියට තමන්ගේ අපේක්‍ෂා මුදුන් පත් කර ගැනීමට තරම් ආර්ථික ශක්තියක් නැත. 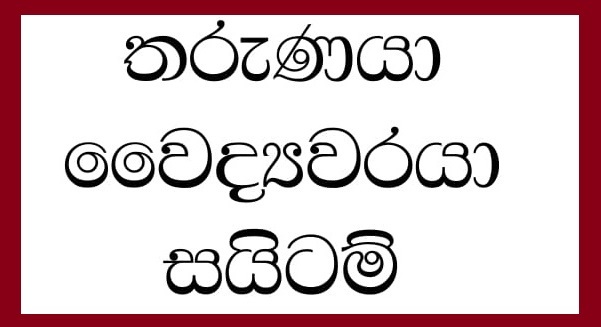 මා එය පාදඩ මධ්‍යම පංතියක් ලෙස හඳුන්වන්නේ ඒ අර්ථයෙනි. බටහිර රටවල මධ්‍යම පංතියේ තත්වය මෙතරම් සෝචනීය නැත. පොදුවේ ගත් විට ඒ මධ්‍යම පංතියට තමන්ගේ අපේක්‍ෂාවන් ඉටුකර ගැනීමට හැකි අතර ඒ නිසා ඔවුන්ට ආරථික නිදහසක්ද හිමිය. 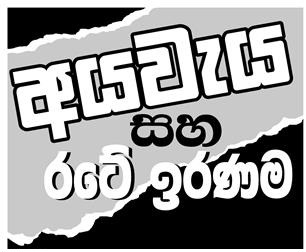 මේ හේතුවෙන් බටහිර මාධ්‍යම පංතිය, අවම වශයෙන්, ඇමෙරිකානු මධ්‍යම පංතිය අපට සාපේක්‍ෂව උසස් මධ්‍යම පංතියක් ලෙස හැඳින්විය හැකිය. 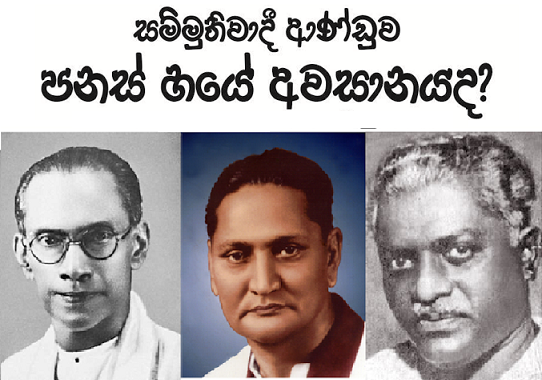 මීට වසරකට ඉහත ඇමෙරිකාවේ සිට ශ්‍රී ලංකාවේ ස්ථිර පදිංචිය සඳහා පැමිණෙන විට උසස් මධ්‍යම පංතියකින් පාදඩ මධ්‍යම පංතියකට මාරුවෙන බව මම නොදැන සිටියෙමි. 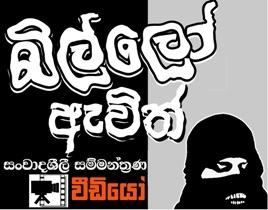 සංක්‍රමනය වීමට ගත් තීරණය ගැන පසු නොතැවුනද මෙරට ඇතිවී ඇති සමාජ විපර්යාසය ගැන මම දුක් වෙමි. ඒ ඒ රටවල සංස්කෘතීන්ට අනුව ඒ ඒ සමාජවල අපේක්‍ෂාවන් වෙනස්ය. 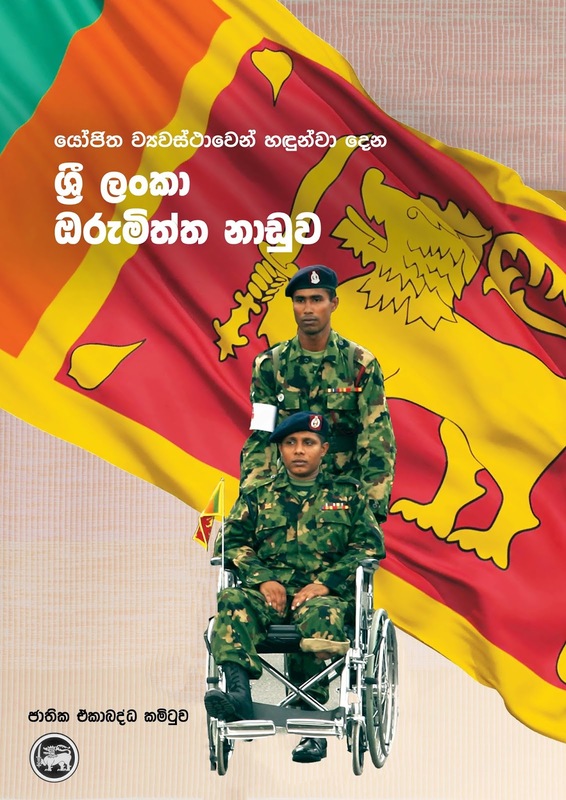 ප්‍රශ්ණය අපේක්‍ෂාවන්ට සරිලන ආර්ථික හැකියාවක් ඇත්ද යන්නය. එසේ නොවේ නම් කල යුත්තේ සමාජයක් වශයෙන් හික්මීමය. අපි මේ රට සංවර්ධනය කල යුත්තේ අපේක්‍ෂාවන් සහ ආර්ථික වර්ධනය අතර සැමවිටම ගතික සමතුලිත බවක් පවත්වා ගනිමින්ය. නමුත් සිදුවී ඇත්තේ හික්මීම බල්ලට දමා අපේක්‍ෂාවන්ට සරිලන ලෙස ආර්ථිකය වර්ධනය කරගැනීමට පුද්ගලයින් වශයෙනුත් සමාජයක් වශයෙනුත් අපි උත්සාහ කිරීමය. බටහිර රටවල් ඊනියා සංවර්ධනයක් අත් කර ගැනීමේදී ඔවුන්ට මේ ප්‍රශ්ණය නොතිබුනි. 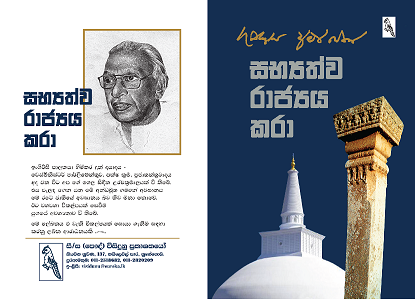 සංවර්ධනය වෙද්දී ඔවුන්ගේ අපේක්‍ෂාවන් ක්‍රමයෙන් වෙනස් වුනි. නමුත් අපේක්‍ෂාවන් මොනවාදැයි තීරණය කලේද ඔවුන්මය. ඒ නිසා ඔවුන්ට අපේක්‍ෂාවන් සහ වර්ධනය අතර ගතික සමතුලිත බවක් පවත්වාගැනීමට හැකිවිනි. නමුත් අපේ අපේක්‍ෂාවන් ගැන නිර්ණායකයන් අපට දී ඇත්තේ බටහිර සංස්කෘතිය විසිනි. 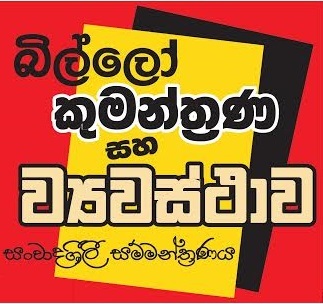 ආර්ථික සංවර්ධනය දුවන්නේ ඒ පිටුපසය. 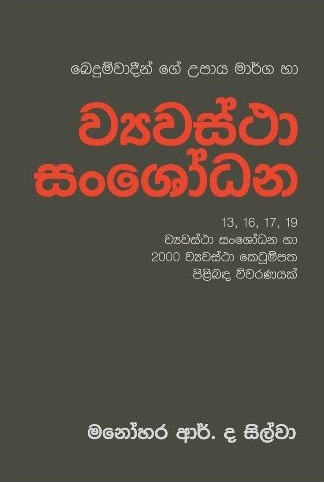 අපේ මධ්‍යම පංතිය පාදඩ වෙන්නේ ඒ නිසාය. දැන් එතකොට මේක ලියපු වන්සපුරත් ඔය "පාදඩ" මද්යම පන්තියට අයිති නේද? මොකද ජානක වන්සපුර කියනවා "මීට වසරකට ඉහත ඇමෙරිකාවේ සිට ශ්‍රී ලංකාවේ ස්ථිර පදිංචිය සඳහා පැමිණෙන විට උසස් මධ්‍යම පංතියකින් පාදඩ මධ්‍යම පංතියකට මාරුවෙන බව මම නොදැන සිටියෙමි" කියලා. ඒ කියන්නේ වන්සපුර පිලිගන්නවා එයත් අපේ මද්යම පන්තියට අයත් කියලා. එයාම එයාට නොදැනුවත්වම "පාදඩයෙක්" කියා ගන්නවා නේද? හික්ස්! හික්ස්! ඔය ජානක වන්සපුර දන්නේනති තවත් දෙයක් තමයි එයා ඇමෙරිකාවේ ඉන්නකොට "උසස් (ඇමෙරිකානු) මද්යම පන්තියට" අයිති නැහැ කියලා. 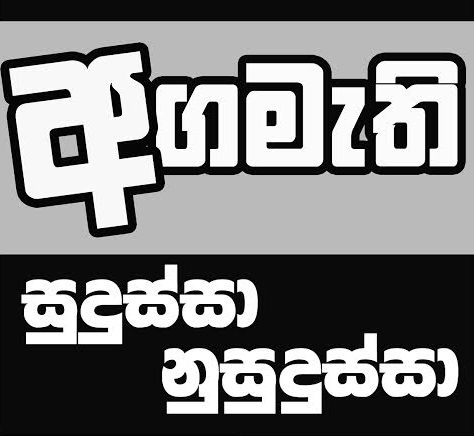 මොකද ඒ "උසස් (ඇමෙරිකානු) මද්යම පන්තියට" අයිති වෙන්නේ ඇමෙරිකානු සුදු ජාතිකයින් පමණයි. නිකන් ඇමෙරිකාවේ ගිහින් ඩොලර් ලක්ෂයක පඩියක් ගත්තා කියලා එහෙ සුද්දෝ මෙයාව ගණන් ගන්නේ නැහැ. මොකද හම කළු නිසා. ඒක තමයි තිත්ත ඇත්ත. 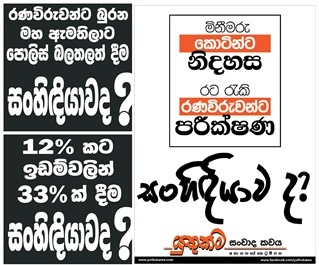 Janaka Wansapura says that the SL middle-class to which he also belongs to is a "පාදඩ" middle-class. The word "පාදඩ" translated to English, in the context of the article means "beggar". So, Janaka Wansapura insults the Sri Lankan middle-class to which he too belongs to as "beggars". He is clearly insulting himself, all his relations (all of whom are also part of the SL middle class), his PARENTS, his own brothers and sisters, his own teachers, his friends, and his neighbors too. Either he is doing it knowingly, which means that he is suffering from a severe "inferiority complex", or, he is talking about these things unconsciously which makes him a dunce. 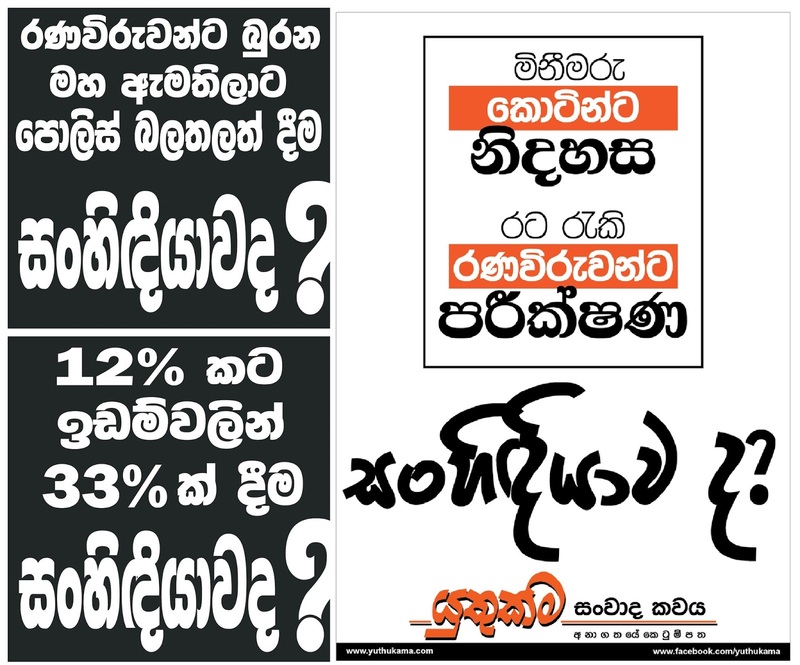 From the tone of his article, it is clear that Janaka Wansapura has lot's of hatred for the SL middle class. Most probably that hatred has now increased 10 fold since his favorite politician Mahinda Rajapaksha was rejected twice by the SL "පාදඩ/beggar" middle class. 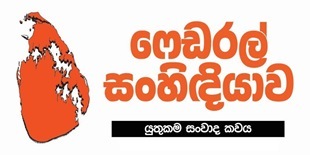 Janaka Wansapura also states in a very derogatory tone that the SL middle-class, who he brands as "beggars" due to their inability to fulfill their desires due to lack of economic might, must practice restraint. I like to ask Janaka, since now he too is a "beggar" according to his own definition, what type of restraints he himself practices due to his inability to fulfill HIS OWN desires? (1.) What kind of car does he drive?? (2.) How big is his house?? (3.) Is it a 2-story house or a simple one story one? (4.) Is his house air-conditioned? (5.) How many TVs and DVD players does he have?? (6.) Does he use a Apple MacBook Pro or the cheapest HP laptop?? (7.) What is his phone?? Is it a fancy iPhone or a simple HTC or Huawei?? (8.) Does his children also have mobile phones and laptops?? (9.) Does his wife also owns a car?? (10.) To which schools does his children go to?? Expensive international schools or the closest government school? Or, are his children going to Visakha, Ananda, Nanlanda or Royal??? (11.) Does he go with his family to 5 star restaurants with his family for meals? If so, how often? 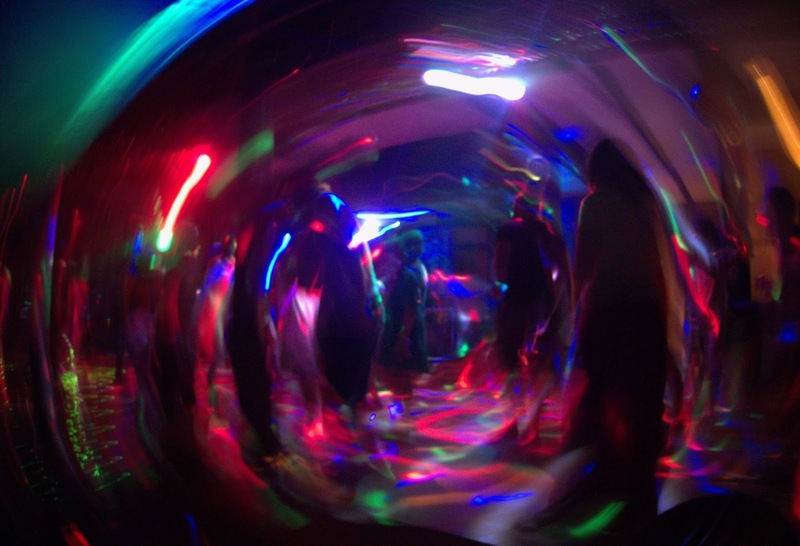 (12.) What kind of watch does he wear?? Is it a branded one like Rolex or Swatch? (13.) Does he go to the Supermarket to buy his groceries and other things he wants, or does he go the town "pola"??? I think we have a right to ask Janaka Wansapura these questions and see whether he himself is practicing what he preaches. Good comments. Wonder what type of car Janaka Wansapura drives. Is it a Maruti Alto or a Honda Vezel??? So Janaka if you say that "knowledge id not discovered, but created relative to the human sense organs", then what on earth did the 2 LIGO detectors detect last year?? They were not gravitational waves?? ?